First, you’re going to want to choose a subject. I like the clean simplicity of Super Mario Bros. character sprites (no weapons, simple shapes, basic color palette), but you can make any character you’d like. 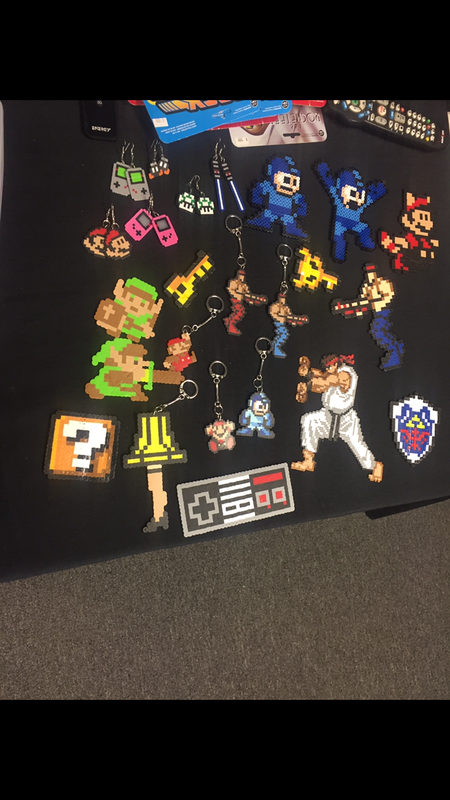 Keep in mind that because old Nintendo characters are 8-bit, its characters will work best – but you’ll see in your travels that people have made everything from Atari up to large-scale 32-bit Mortal Kombat characters. If you want to keep it simple, keep it SNES or earlier! 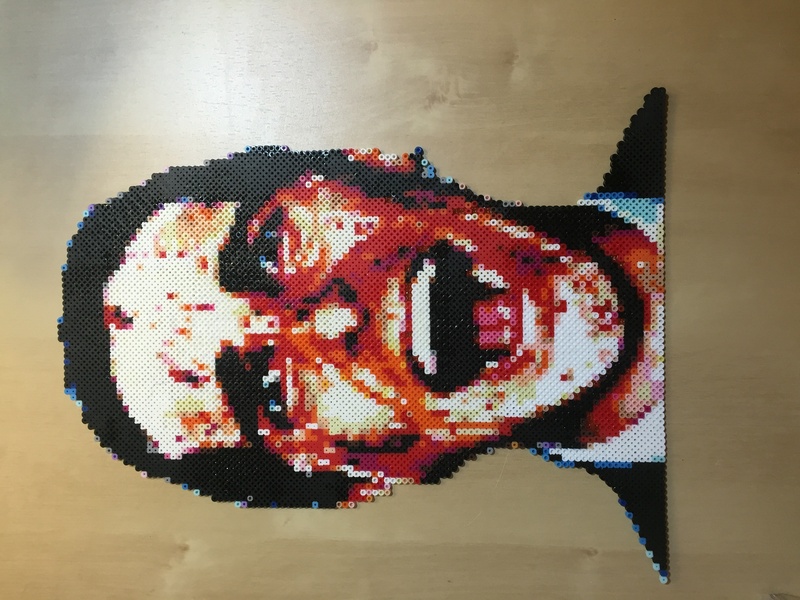 1) Perler beads. Obvi, right? It’s a good idea to buy one of those 11,000-bead bins so you’ll have some of each color (and let your kid to burn through that seafoam green color you never need) but it’s a good idea to buy some basic colors individually. I knew I’d need a lot of white, black and brown, so I bought individual bags of those. It’s not a bad idea to think about which characters you want to make ahead of time and literally go buy those color palettes. At about $2.50/bag, it’s not going to kill you to buy a couple of colors individually, and you’ll have enough for multiple projects. A little list organization can go far here and avoid over- and underbuying. 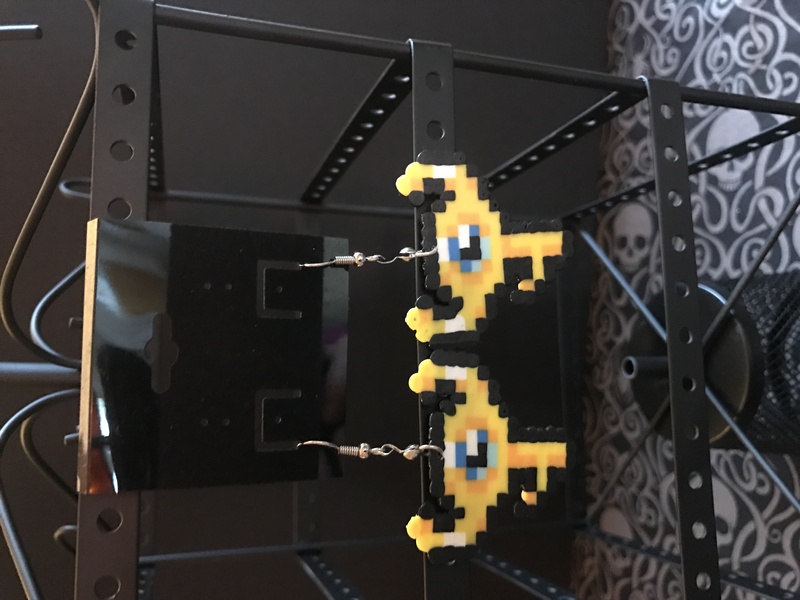 PRO TIP: You never want anyone to find your shopping list of perler beads and color palettes because while you’re doing something nerd-awesome, it looks really sketchy before you’ve got a final product to prove that you’re not super creepy. 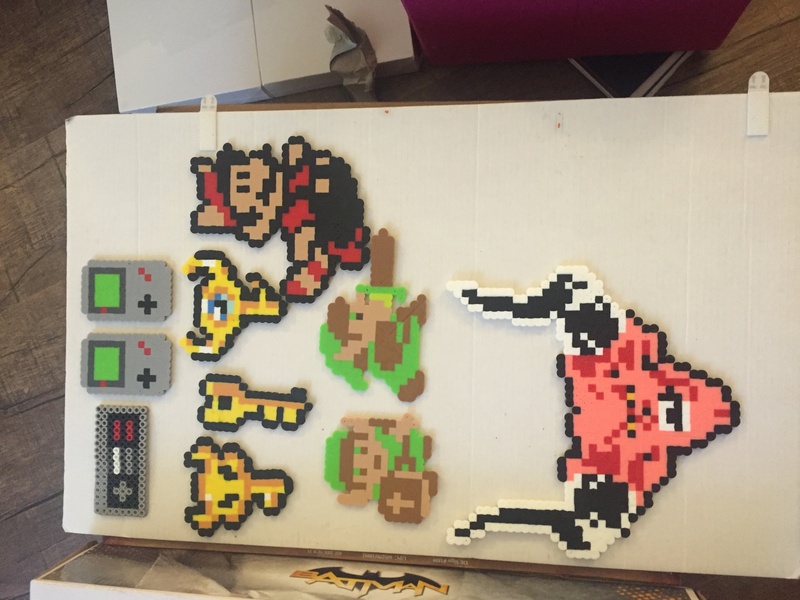 2) Perler pegboards. 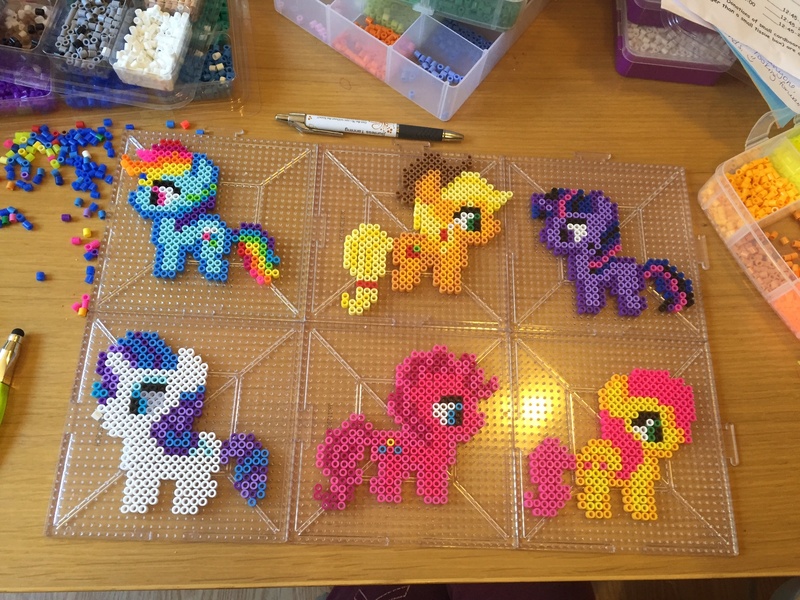 If you buy a big bin of beads, you might get some small pegboards (the ones you used in summer camp), but it’s a good idea to pick up a couple of the bigger, interlocking ones so you’ll have ample room for your craft. 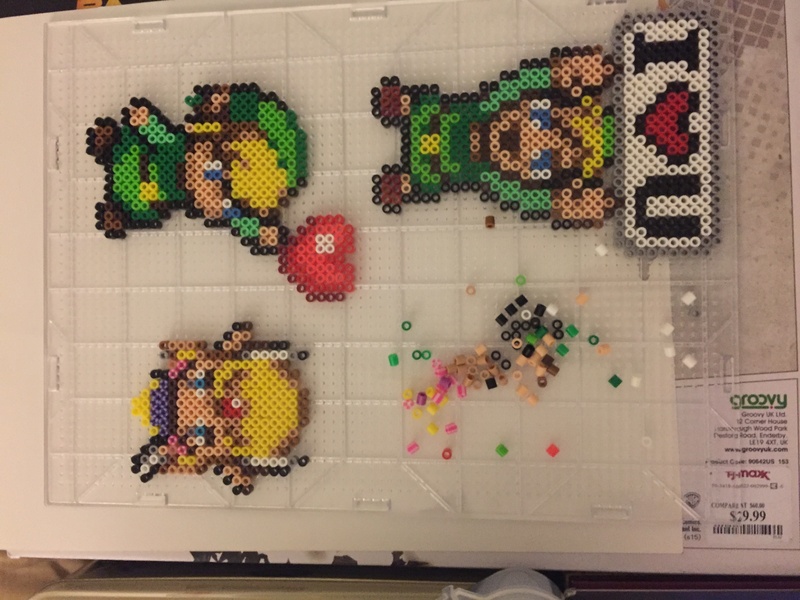 Nothing’s more of a bummer than seating 20 beads only to find that you started your creation too far to the right and now you’ve got to re-seat them all one peg left. 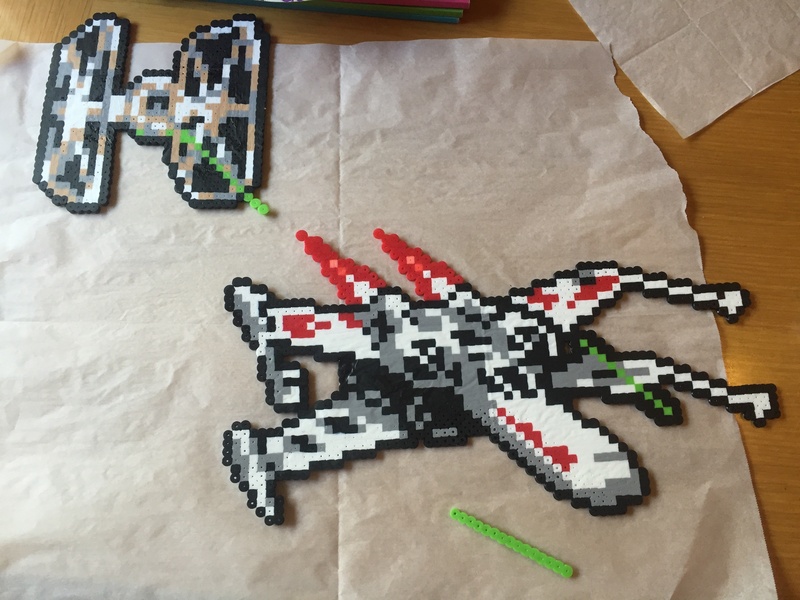 And nothing kills craft time with your kids quicker than devolving into crying and screaming over Perler beads. 3) Tweezers (optional). As a purist who remembers a time when his fingers weren’t giant sausages, I still like to do the arranging by hand. Plus, I’ve got a kid who does still have small, nimble non-sausage fingers. 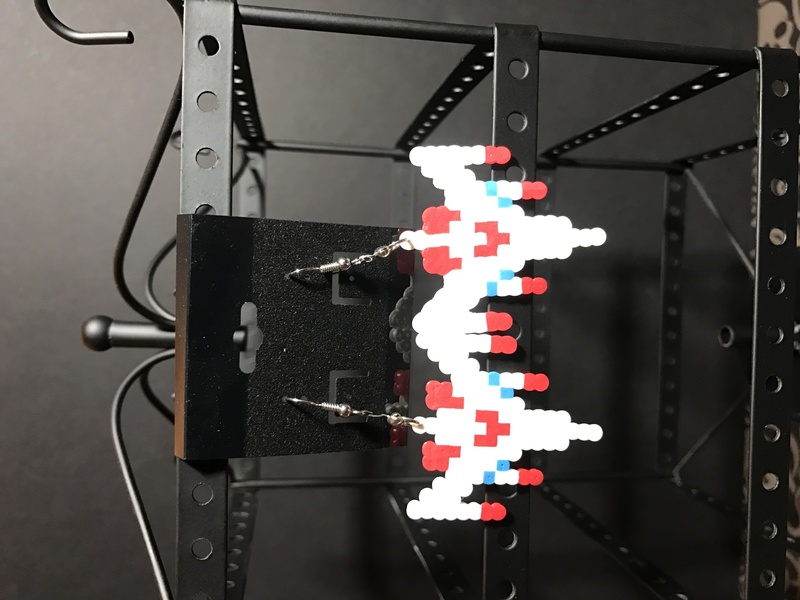 But, if you are going for speed, a set of tweezers can help you get a handful of beads into place without risking sausage-mashing everything else on your board. 4) An Iron. 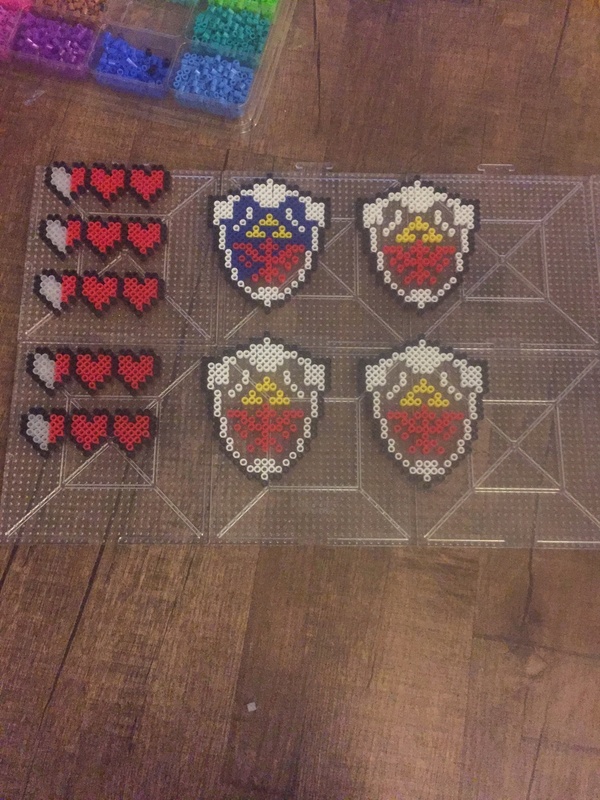 When you’re done setting the beads, you’ll need an iron to fuse them all together. If you don’t have one, you could use (in a parallel universe where bad ideas are good) the bottom side of a pot or pan that you’ve heated up on your stove. 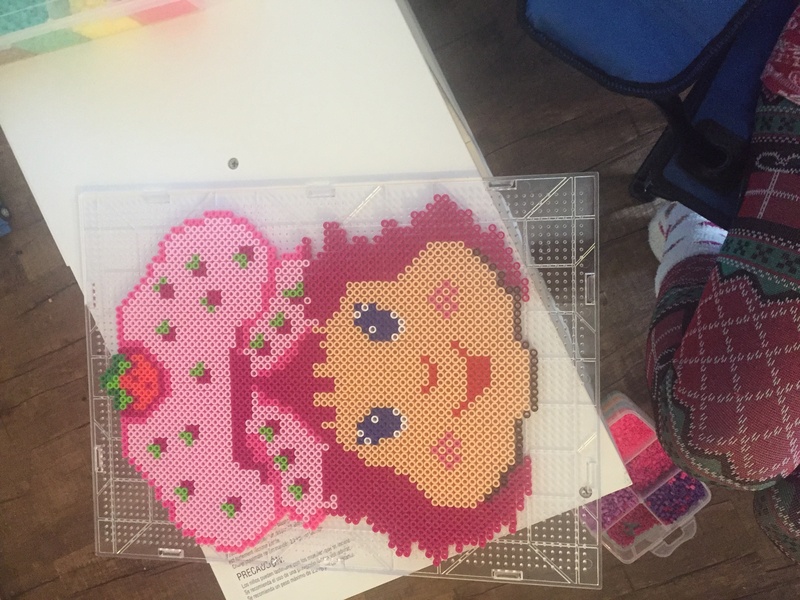 PRO TIP: don’t ever do this pot/pan idea because it’s stupid and you’ll melt the beads too much and burn your hand. 5) Ironing paper. This stops the beads from sticking to the iron (or that pan I told you not to use, dummy). If you buy the 11,000-bead bin, it’ll usually include a couple of sheets, and they’re reusable. 6) Hanging Supplies. When you’re done with your craft, you’ll want to put it somewhere. The most common options are magnet backing or, my preference, Quake Hold. When it’s all said and done, your total initial investment can be upwards of $30-$40 depending on how much you’re buying and if you take my advice about not using a frying pan instead of an iron, but many of these materials can be reused from project to project. Your problem with http://mypixelpal.com/ is simple…..your images are too large. Go to a site that archives game sprites, as they will be the proper size. Copy/paste the one you want into a PNG, then upload to http://mypixelpal.com/ and BOOM! You’re good to go. I use the site all the time. 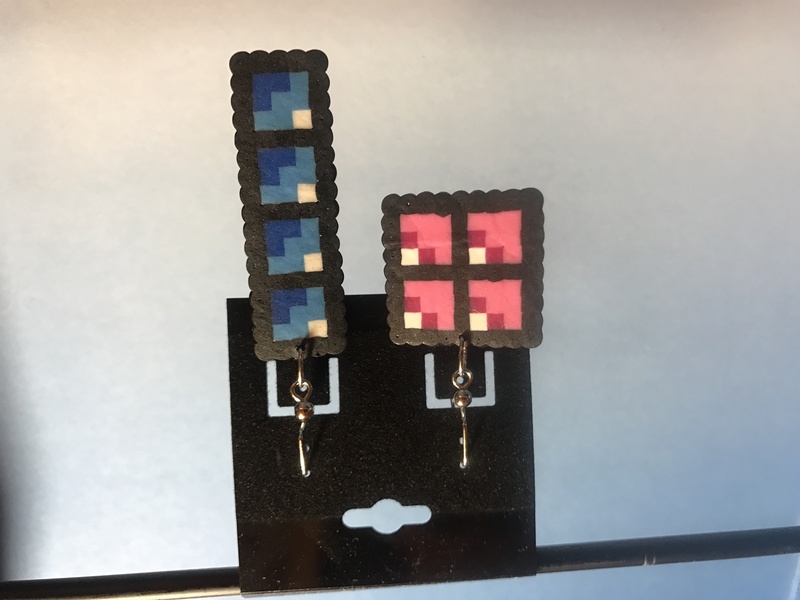 8 bit dad, I want to use the smallest beads available that will still have that genuine 8 bit look, because i don’t want them that big, whats your suggestions??? Omg! Man I’ve been dieing to do these things! 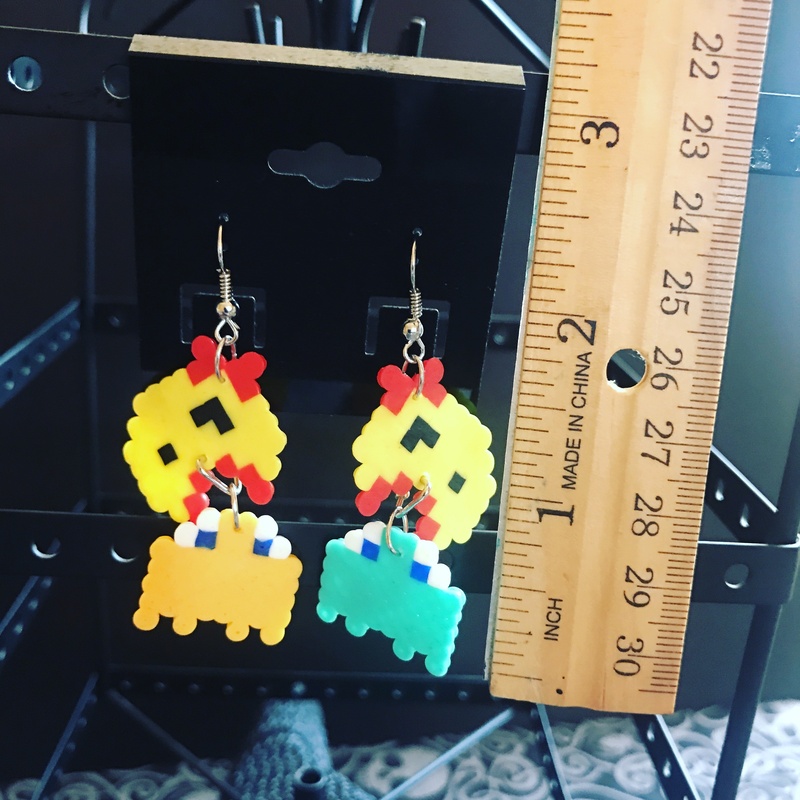 I’ve been wanting to decorate my daughter’s room in old school video game stuff :3 I’m a new to this stay at home parent thing, and I thought while she takes her naps I mine as well keep myself busy on a project ^.^ she’s only 6 months but she will appreciate it later! Thank you so much for making this!!! I’m so glad I found this informative, yet hilarious, article. I was thinking of creative things to do for my husband for christmas, and was coming up with zilch. 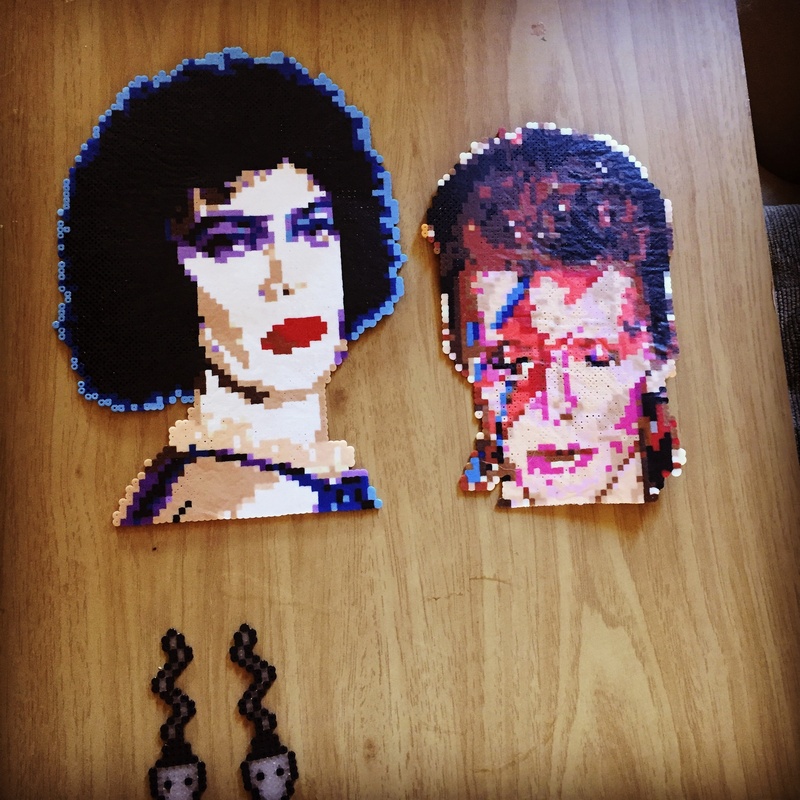 I found a friend who makes AMAZING perler art, so I bought some and was like “this will be fun!” until I realized I’m creatively challenged and can’t come up with stuff on my own. Since finishing your article, not only do I have a better grasp of the materials, but I now know what I’m going with… Vectorman! 😀 He’ll love this. But for display, I was going to put it on a black board in a shadow box and hang it. Does that sound like a feasible idea or should I find another way to display? You could certainly mount in a shadow box! 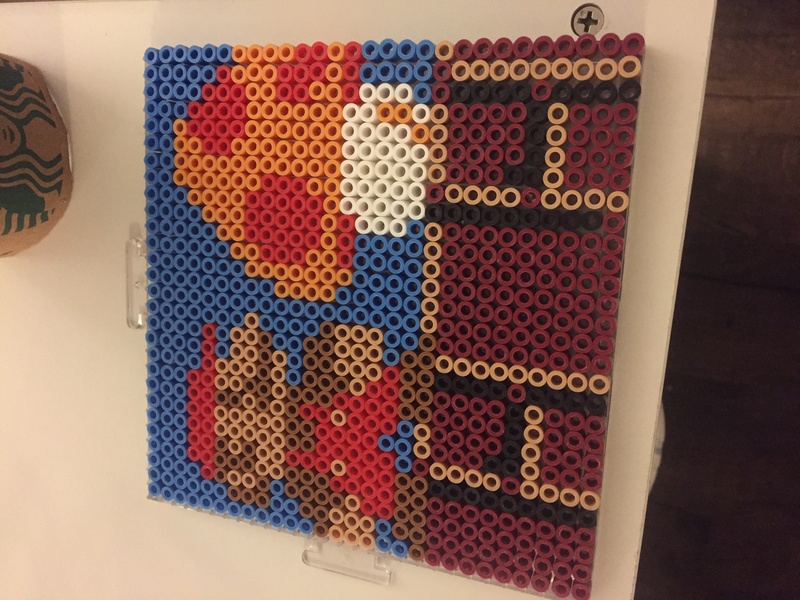 I’ve thought about creating a couple of sprites for a game – maybe Mario and then some of the background bushes, and then mounting in a shadow box so that the background elements are against the backing, but the character is glued to the bottom, in the foreground. Might be tough to mount them standing though. I’ve got to do a little more research on it! Thanks for reading! Hi! 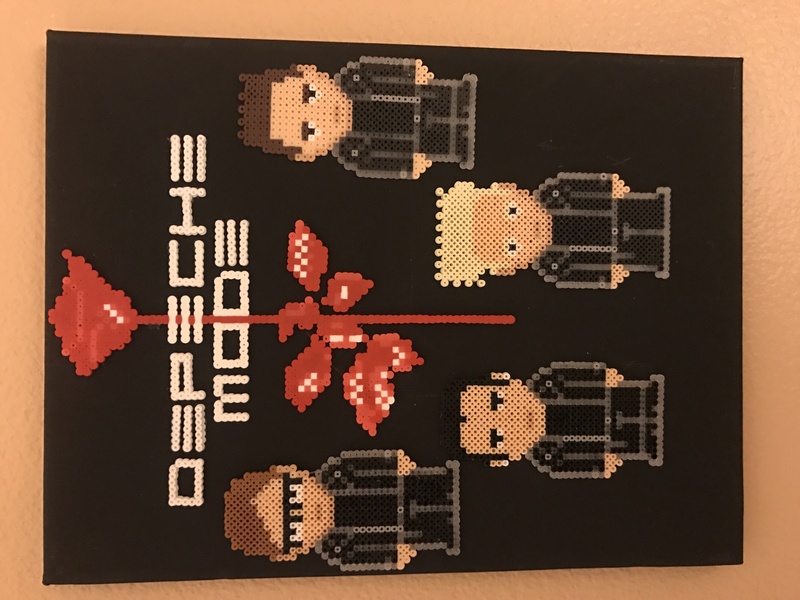 I came across your blog by accident while perusing the interwebs for opinions on Depeche Mode 8bit Perler Bead art. I’m pretty pissed because I just spent a solid fifteen to twenty minutes typing and introduction of myself and my business to you in here and then the site decided to reload and trash all of what I had typed out..on my phone…with my thumbs. Lol Story of my life. I’m sure it was this websites’ equivalent of cueing the music for long speeches at the Oscars. 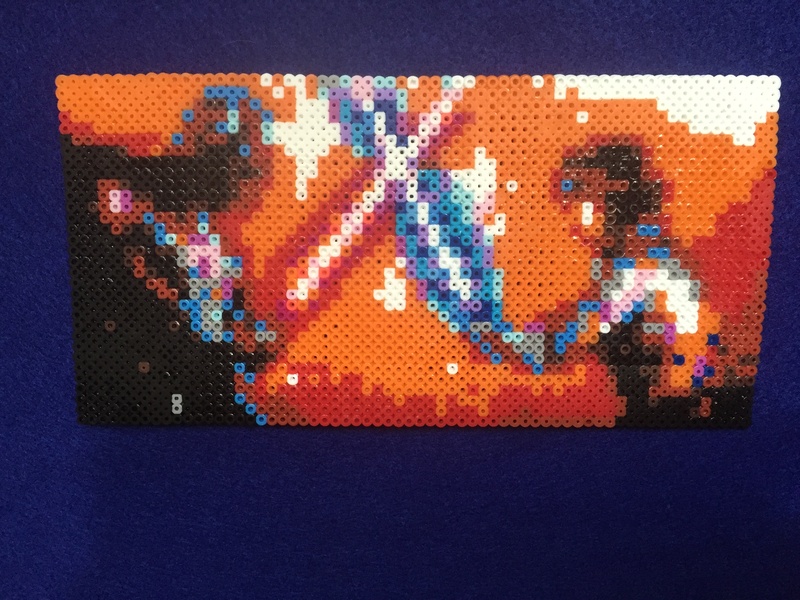 Anywho, I make 8bit Perler Bead fan art. I’m a huge video game nerd and never used to have the time to play them or enjoy them, and if /when I did I would be told I should be doing something more productive with my time or to grow up or act my age. Now I get to video games whenever I want, however, now it’s called ‘research’. 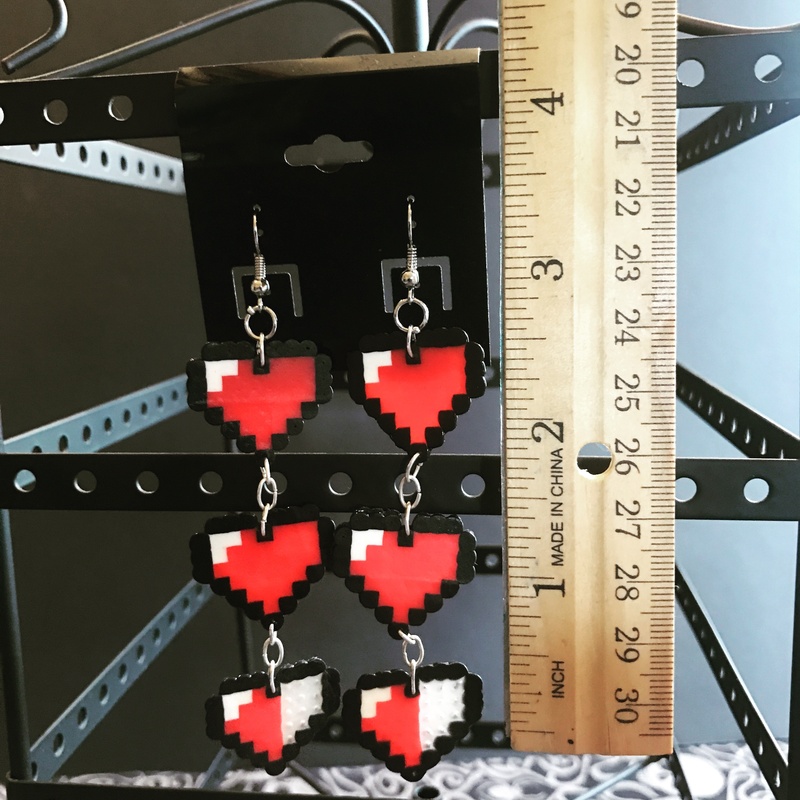 I owe it all to my 10 year old son because of a Minecraft themed birthday party I had thrown for him and handmade all of the 8bit party decorations with perler beads. After his party he was thrilled that he got to keep all the decorations and could put them up in his bedroom. 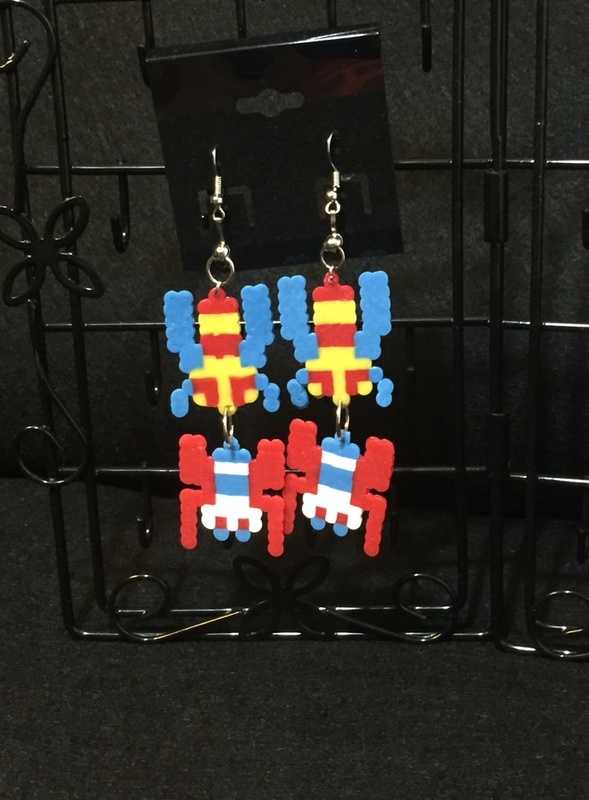 So much so that he asked if I would(he probably meant could lol) make him some more designs and pictures based on his favorite movies, games and characters. 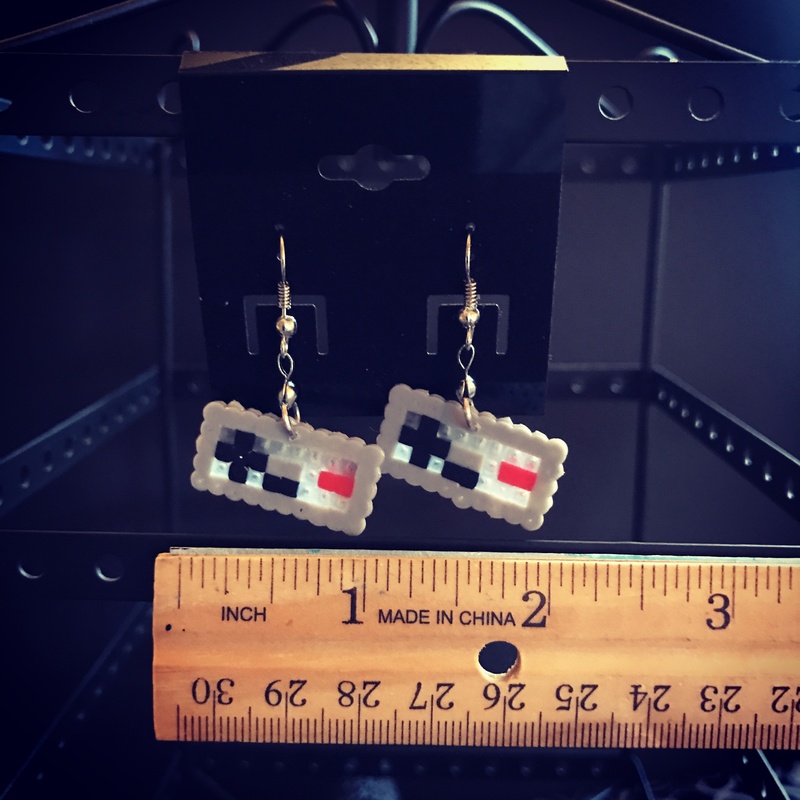 Right after that I was introduced to the very unforgiving Mini Perler Beads and decided to attempt to make GameBoy and Tetrimino earrings for myself. People at my work loved them so much. Not just coworkers but customers as well and it was awesome. It felt great to socialize with people that I may not have normally meet about our common interests like those games. I have spent the last few hours reading and genuinely enjoying reading your blogs. Thank you for being awesome and spreading the word to other nerdy or geeky parents to stay true to their childlike awesome selves. (kind of?) As I said, I am a diehard video game nerd and that goes for original arcade games as well. 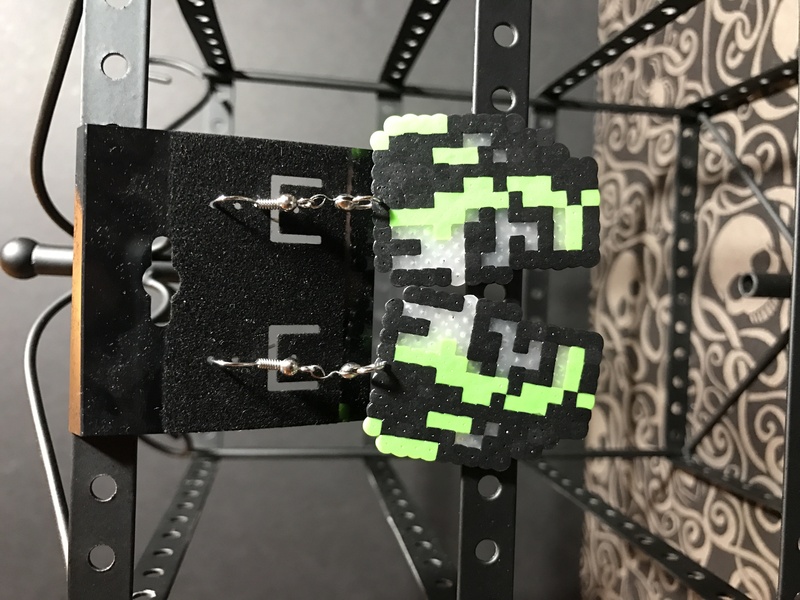 I’ve posted pictures of some of the random pieces I have made just for myself haha. I hope they strike the right cords of nostalgia time warp you back to the golden age of gaming. Feel free to contact me if you have any questions, comments regarding requests, commission pieces, orders or if you’re just plain interested! 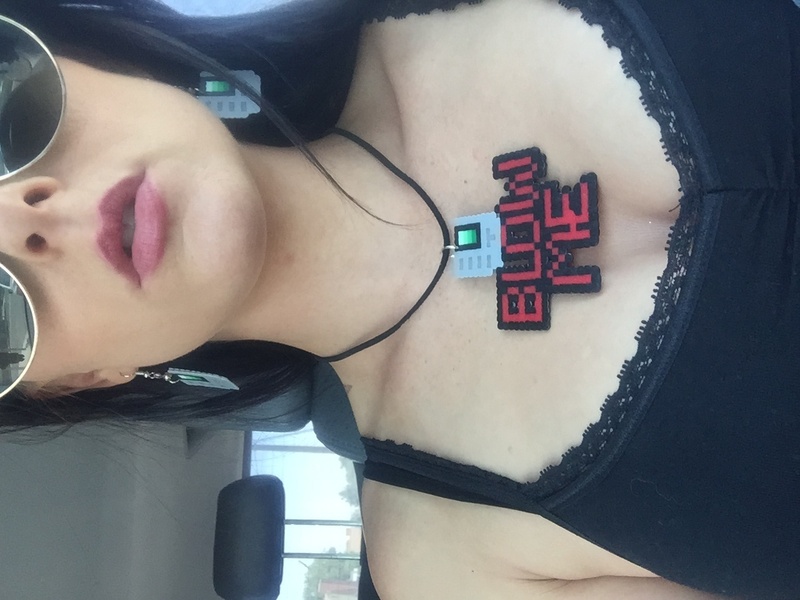 I’m known as the “8Bit Queen” and “The Queen Bead”. 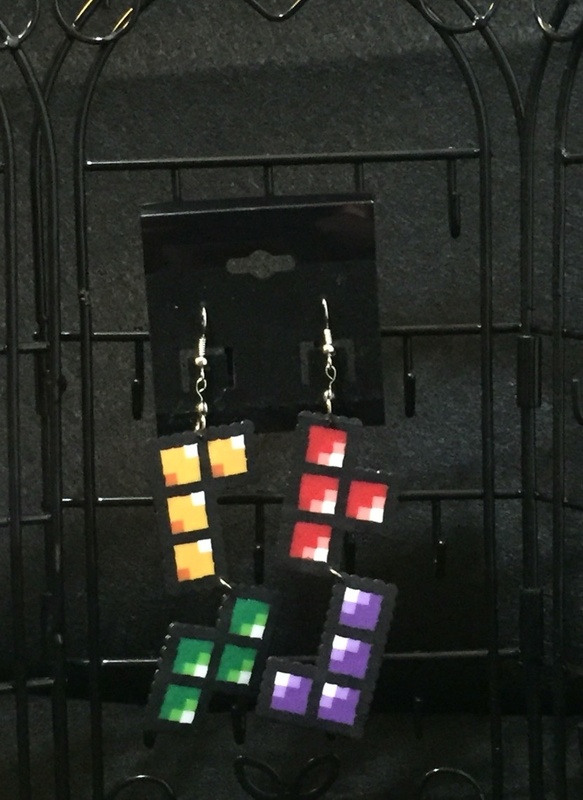 Check my links if you’re interested in my store. 🙂 I look forward to reading more here! Thanks again! That’s awesome, thanks for sharing Rachael!